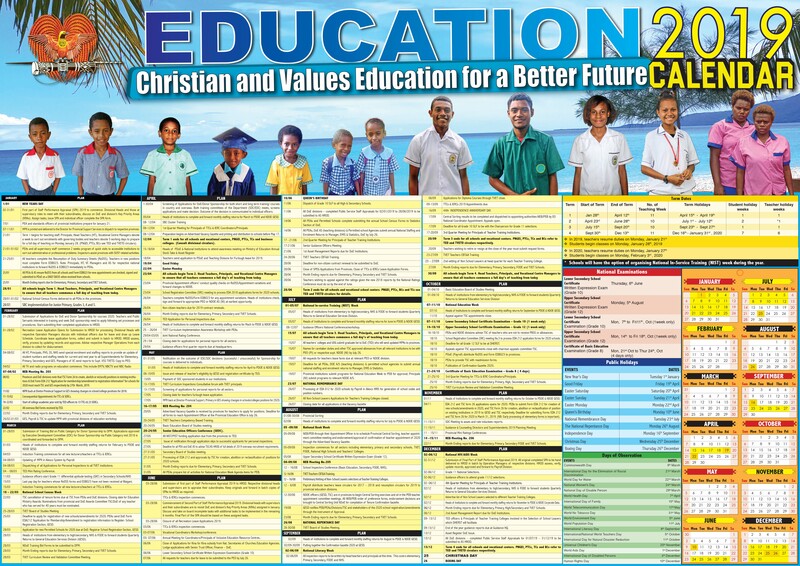 This page contains a calendar of all 2019 school holidays and term dates for Papua New Guinea. These dates are unlikely to be modified by the Department of Education. However, please check back regularly for any updates that may occur. Visit education.gov.pg for the original release.